Having previously spent time getting lost and attempting to climb a mini-mountain wearing thongs, I decided to take advantage of the beautiful sunny weather and try catching the ferry to Zürich. 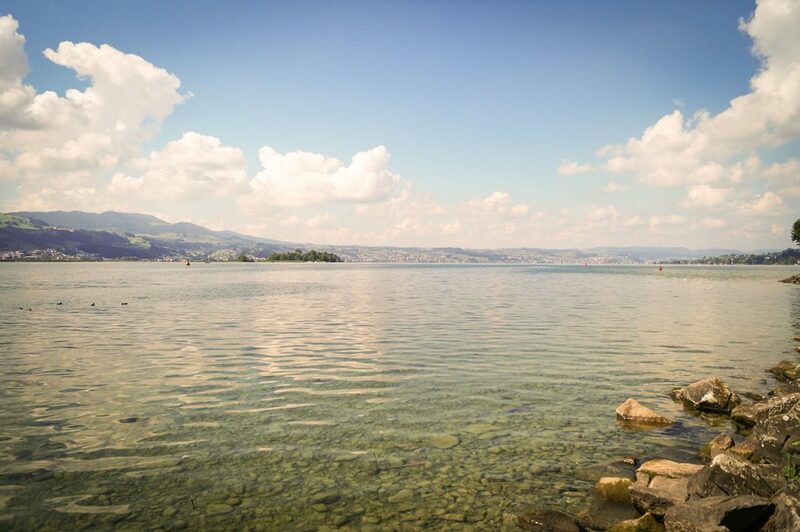 It made sense, the Zürichsee is huge and stretches 40 kilometres, so why not enjoy an easy ride, a day out and get to see the sights? 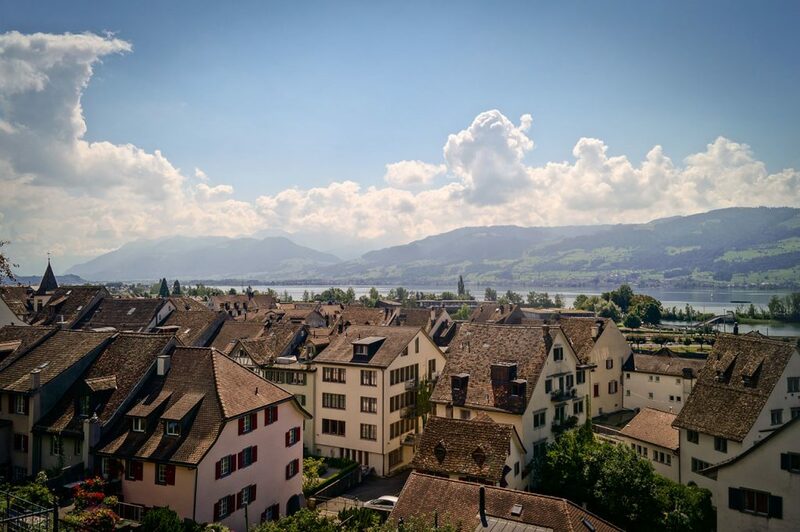 At least that was the plan.So I hopped onto the train from Hinwil to Rapperswil with the intention of catching the ferry. 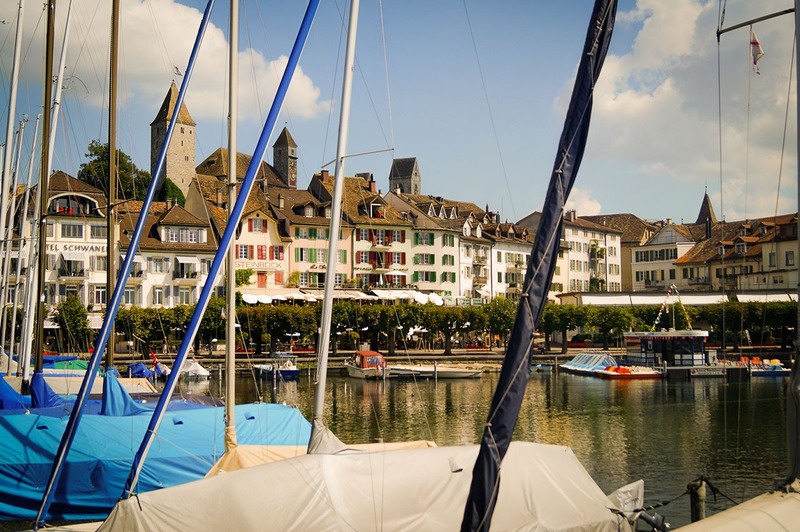 Little did I know that I’d end up spending an age exploring a picturesque medieval town, and sunbathing on the banks of Lake Zürich. What a pleasant surprise it was.I know now just how much of the rich history and heritage I missed out on, and I’m certainly planning on going back. I started my journey as I initially planned – by going to find out where the ferry sailed from. That lead me to the harbour, which on a day with blue skies and crystal clear water, had excellent views of parts of the Altstadt (AKA Old Town). 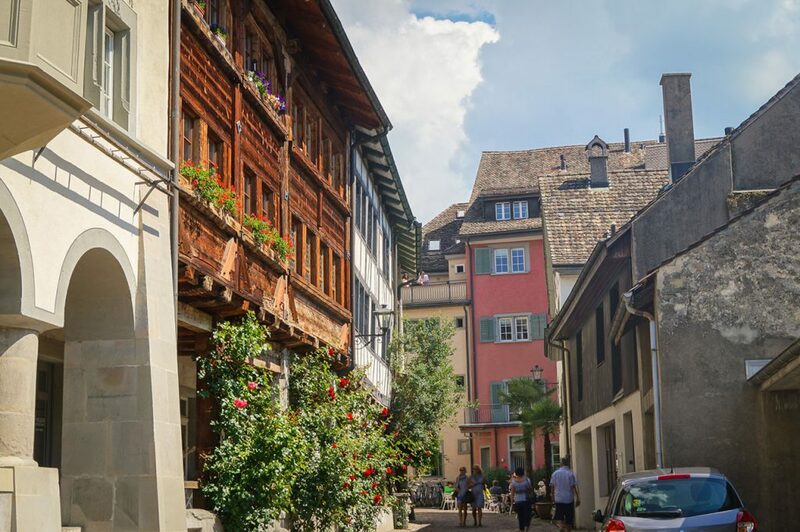 Wandering around you quickly realise that you have a winding network of narrow medieval streets and old buildings with intricate wooden features and vibrant colours to explore. On such a warm day there were plenty of people around, but the whole place was noticeably clean and quiet.I ended up walking through a few of these narrow streets while trying to navigate my way uphill. There’s something fascinating and unusual about having what appears to be an original wooden facade, lined with window boxes full of flowers, right next to a modern car.The narrow streets also make it more difficult for the sun to reach, which means that there is plenty of shade on offer to shelter you from the heat – and it was oh so welcome on such a warm day.It isn’t all as harshly contrasting though. Further along I encountered a bright, cheery and light part of the town. And although if you look really closely you can still see a few cars, the same old style buildings, all colourful and cheery, as well as the plants, old lamps, bicycles and thatch roofing certainly outweigh it. It almost feels like a history trip. 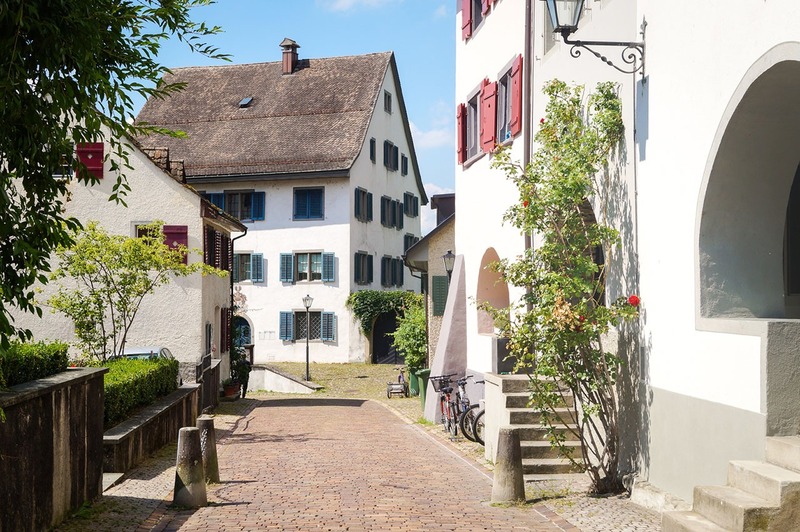 Lets all agree to ignore the concrete bollards, yeah?Back to the long-winded story.Rapperswil is also known as the town of roses, for all of the vibrant flower displays and gardens littered around. I’m sure you can see from the few pictures I have that the place is full of greenery, and that’s just on the buildings.For example, if you go up to the castle you can see the courtyards filled with blossoming flowers, the whole place just looks very pretty. The castle is also elevated so a quick walk around and you can see right across the town, across the lake and onto a mountainous backdrop. Need proof? I can honestly say that on all my travels, this is currently the prettiest town I’ve ever visited.All the walking and open-mouthed gawking from the trip eventually came to an end and it was time for me to catch my ferry and head into the city, across the lake into Zurich.So I called my short time in Rapperswil to an end and headed back down to the water, to wait for my ferry to arrive. I’m sure you’ll agree it certainly isn’t a bad place to have to wait around. Next time I plan on spending a lot more time digging around, savouring my time in the gardens, and doing everything much more slowly. It’s an amazing place to spend your time, extremely relaxing and I really can’t wait to go back!